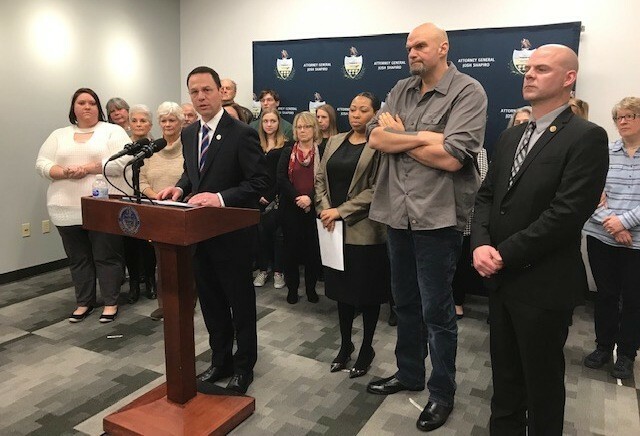 Pennsylvania Attorney General Josh Shapiro filed a petition in Commonwealth Court today, asking the court to ensure health care giant University of Pittsburgh Medical Center “abides by its charitable obligations,” according to a press release. UPMC, a nonprofit, is the largest private employer in Pennsylvania. Since 2014, the two largest health care providers in Western Pennsylvania, Highmark and UPMC, have been forced into a consent decree to ensure the two entities work together and prevent harm to the public. Shapiro said many patients have encountered struggles, like denied coverage or high premiums when they need to seek service hospitals that don’t take their health insurance. He said they have been harmed in the ongoing fight between Highmark and UPMC and that the restructuring has caused both health-care providers to operate in silos. Shapiro says that he has been working on a solution to this problem since 2016, and that Highmark has agreed to his terms. Since, UPMC did not agree, he feels compelled to file suit. “Our petition today has a simple goal: to restore fairness to the health-care system in Western Pennsylvania and promote the public interest by ensuring patient access to affordable care and facilities when they have funded through their tax dollars,” said Shapiro. This was the main part of Shapiro’s argument for the lawsuit. UPMC is a nonprofit, that Shapiro said saves $40 million annually since it does not have to pay property taxes in the city of Pittsburgh and Allegheny County. According to Shapiro’s office UPMC has received $1.27 billion in public and private funds from 2005 to 2017. Shapiro said he knows UPMC has done significant good for Western Pennsylvania. 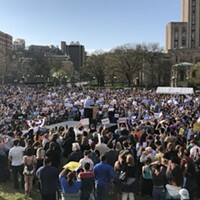 But he added its failures to provide fair prices and non-UPMC health insurance patients access to UPMC doctors is going against UPMC’s charitable mission. I'm taking action against @UPMC - 1 of PA’s largest health care insurers + providers - for violating #CharitiesLaw & harming those in need of medical care. In a statement to TribLIve, UPMC defended its actions, saying that during the time of the consent decree, increased competition has led to lower costs for UPMC health-insurance plans. “During that period, the region’s insurance marketplace transformed from one of the nation’s most highly concentrated and least competitive to one of the most competitive and pro-consumer markets in the nation with some of the lowest cost health plans available anywhere,” UPMC spokesperson Paul Wood wrote in an email to TribLive. Even before today’s press conference, the pressure on UPMC and Highmark was mounting. State Sen. Jay Costa (D-Forest Hills) announced yesterday that he was introducing legislation to force the two healthcare giants into arbitration, so they could settle their dispute. 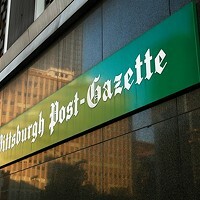 Costa lamented the ongoing fight between UPMC and Highmark as bad for patients in the Pittsburgh region. 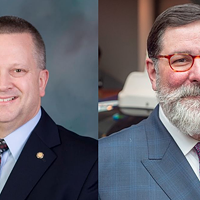 “Both parties need to come to the table, negotiate and cultivate a relationship that will allow the residents of Western Pennsylvania to get the care they need. It’s time to undo the damage caused by the divorce of these two companies. Disputes between enormous, profitable companies cannot get in the way of patients and their care,” said Costa in a press release. Additionally, Allegheny County Controller Chelsa Wagner launched a website in January to highlight the harm the UPMC-Highmark split has caused on local patients. 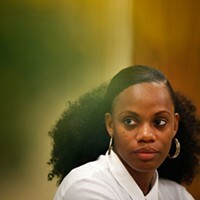 Representatives from the business and labor community lent their support to Shapiro’s lawsuit. Gov. Tom Wolf, who attempted to workout a compromise between Highmark and UPMC, is behind Shapiro’s suit. Lt. Gov. 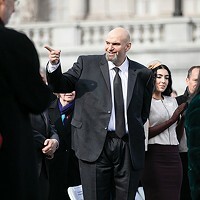 John Fetterman (D-Braddock) also spoke at the press conference. When Fetterman was mayor of Braddock, he said he pleaded with UPMC to not shut down UPMC Braddock 10 years ago. The hospital moved anyway. He said he is excited to back Shapiro's more aggressive tactics. Shapiro implored Western Pennsylvanians that have experienced troubles dealing with the UPMC-Highmark split to share their stories at attorneygeneral.gov/upmc.